The Royal Albert on Brooke Street stands at the junction with Eldon Street and was original opposite the Queen's Arms. 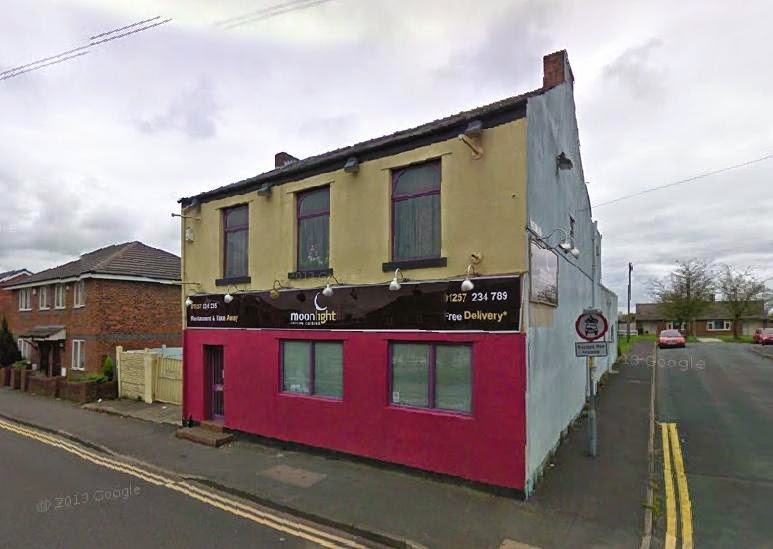 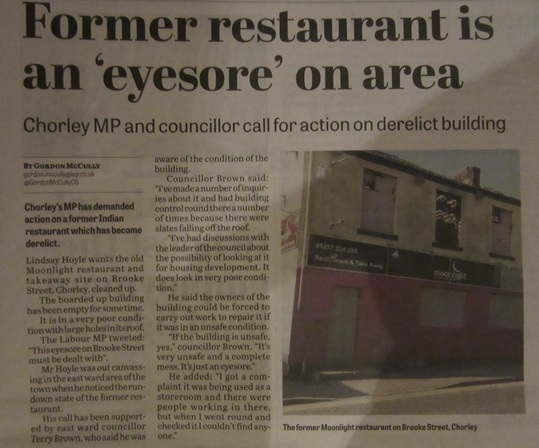 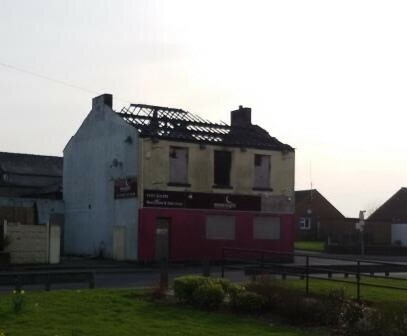 It has long-since ceased to be a public house and more recently has been used as an Indian restaurant called Veena and then Moonlight Indian Cuisine, but has now been boarded up for many years and its future remains uncertain. 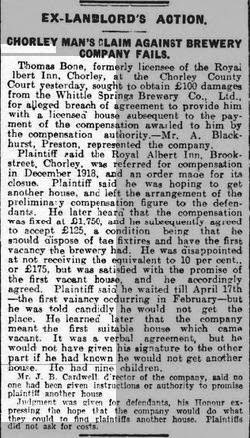 The listed landlords were Lawrence Fowler (1871), Margaret Holcroft (1881-1901), John Thomas Fowler (1911) and Thomas Bone (1918). 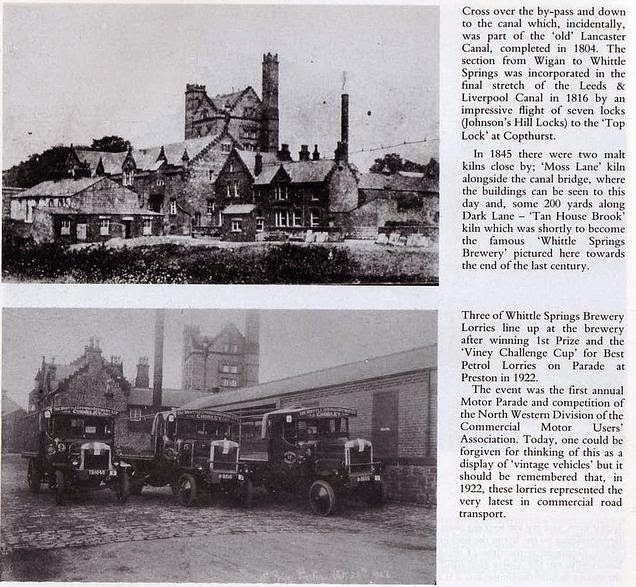 Later records confirm that the Royal Albert was a Whittle Springs Brewery beer house, which was located in neighbouring Whittle-le-Woods. 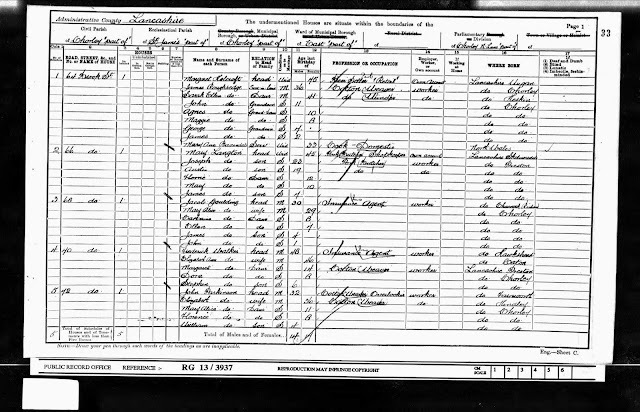 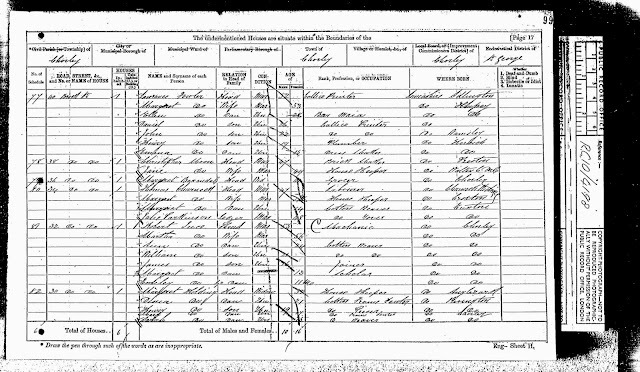 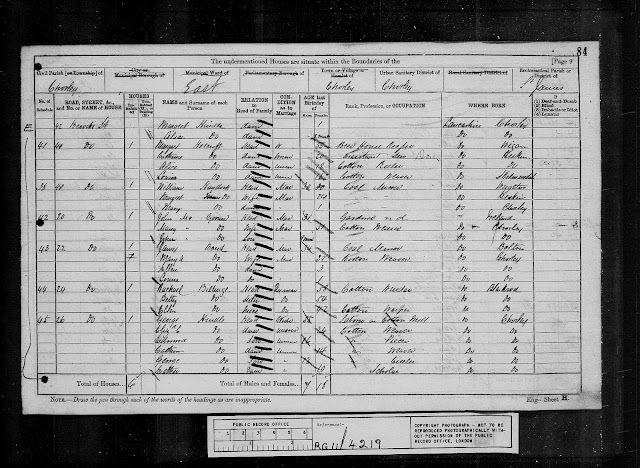 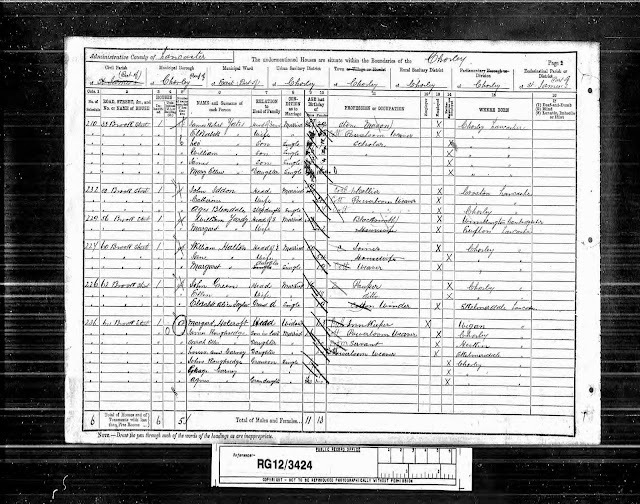 The 1871 Census records Lawrence Fowler with occupation as a Callico Printer living with his family at 40 Brooke Street, Chorley. 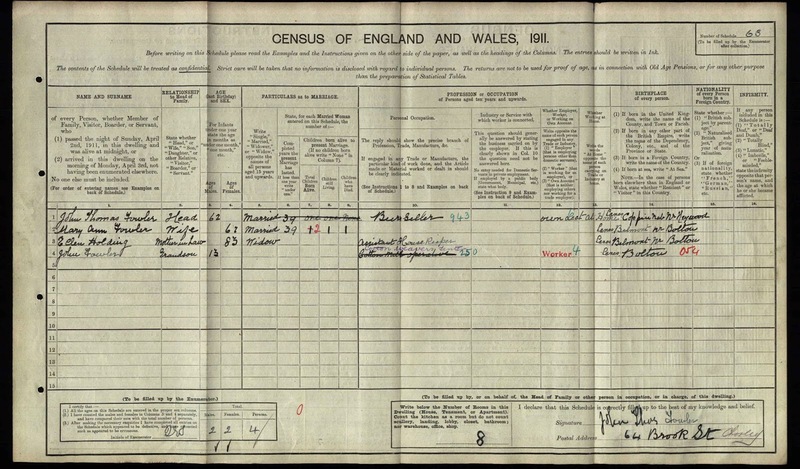 His daughter Ellen Fowler however is shown as a bar maid and this together with the fact that her brother John Fowler (also present on the 1871 Census) was the landlord later in 1911 lead me to believe that the beer house was open in 1871.